In regards to seats, and after talking to quite a few people over the years, what I've noticed is that what one person likes and finds comfortable, the next can be so-so about the same seating arrangement. One shoe doesn't fit all! I spend weeks at a time in the Moke, drive all day and just about every day. 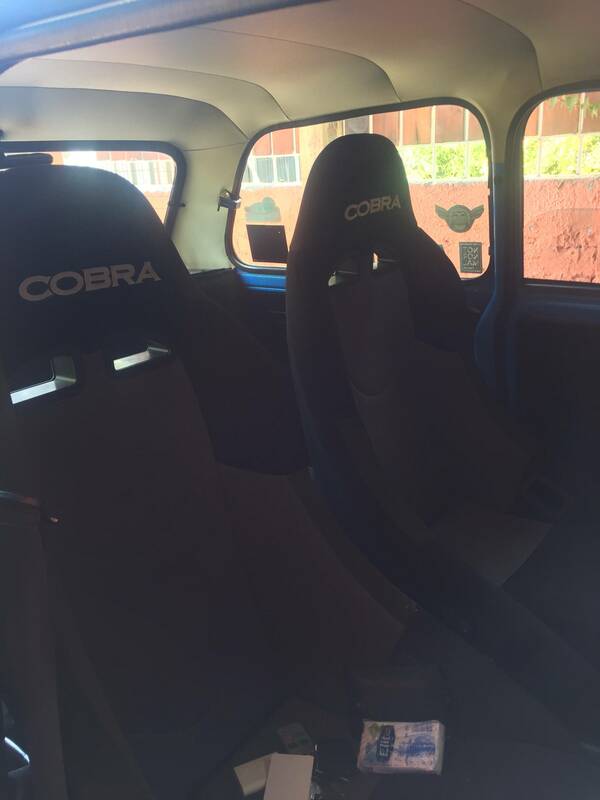 I have Mazda MX5 NA Seats in that and find them ACE - best seat I have anywhere. When I fitted them up though, I did have my Chiropractor come and look at me in the seat, she suggested some adjustments (which I was able to do with how they are mounted) and she can always tell when I've been away in it as she finds my back in good alignment. The speakers in the headrests are great too, I can hear the music box and CB well without have to crank them up. Lotus Elise seats, I can do Brighton to chester without any back pain. Would you have a picture by any chance? Did you get them from an Elise or aftermarket? Edited by cooperS, 19 January 2019 - 04:23 PM.